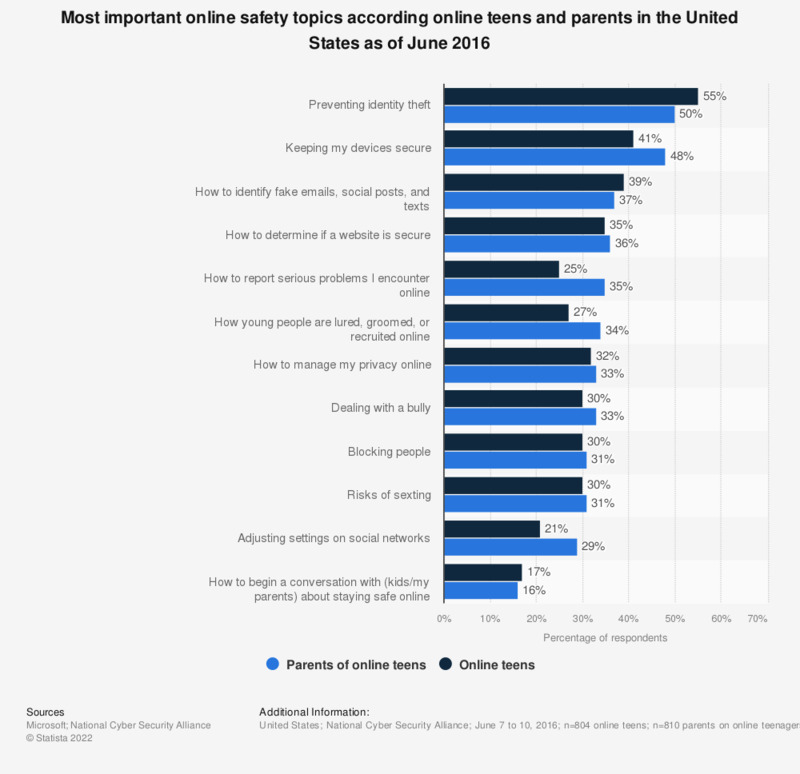 This statistic provides information about the most important online safety topics according to online teens and parents in the United States as of June 2016. During the survey period, 55 percent of online teens and 50 percent of parents of online teens were interested in information regarding the prevention of online identity theft. How important is it for social networking sites to clearly label what information is collected about you and how it is used? How important is it for social networking sites to ask for your permission before sharing or selling your personal information? How concerned are you that there are fake accounts and bots on social media platforms that are used to try to sell you things or influence you? How safe do you feel your personal information is when using public Wi-Fi connections?